The Gold Camp condos for sale are a half dozen, small three-story buildings, each with six condos that sit on a common parcel of land next to the Breckenridge Nordic Ski Center, about halfway between downtown Breckenridge and the base of Peak 8. These units are wood construction, with surface parking and have a modest open floorplan that resemble many Breckenridge condos like it, that were built around 1970. The cube-like construction of Gold Camp makes for a variety of views. Windows face all directions, but only one way for each condo, two for some. And each floor has its advantages and disadvantages. Better view means more stairs. Some ground level units have a patio. Keep reading about the advantages to owning a condo, or start your search with the available Gold Camp Condominium Listings found below. 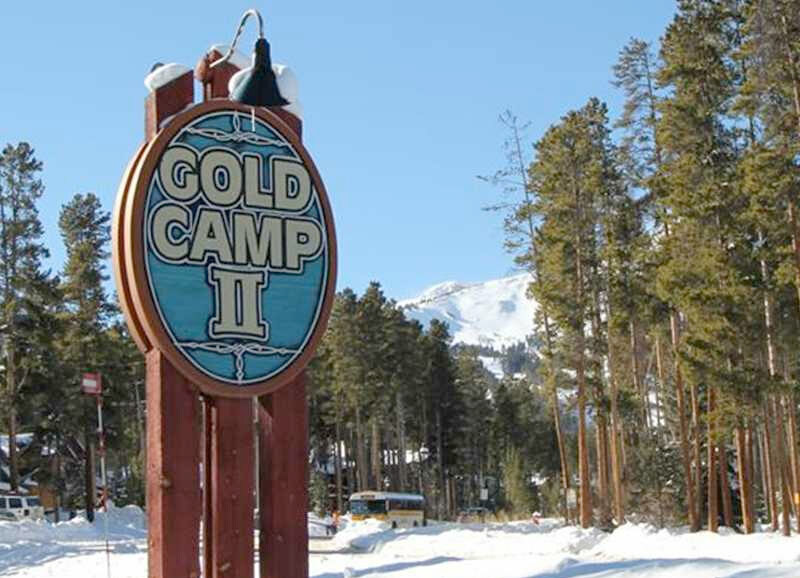 Why buy a Gold Camp condo? Because they have a perfect middle location that is neither in town or on the mountain. This makes the price cheaper, and access to either easy, but neither one is on the doorstep – unless cross-country skiing is your exercise of choice. The free town shuttle stops at Gold Camp Condos and makes for dry, low effort transportation to any peak of the Breckenridge ski resort and downtown Breckenridge. 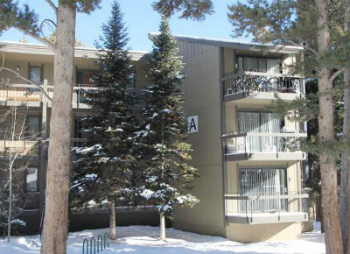 These condos are also directly adjacent to the Breckenridge Nordic Ski Center. From the ski center, trails radiate to town and into the national forest and the Cucumber Gulch Wildlife Preserve. A sidewalk also extends from Gold Camp to town, which is about .5 mile downhill. 561 sq. ft to 1028 sq. ft. Amenities: near base of Peak 8, near Breckenridge Nordic Center, sidewalk to town, on the bus route. From the traffic circle or Main Street Breckenridge, take Ski Hill Road west and turn right into the drive of Gold Camp Condos. Sign might say Peak 8 Village. We can't wait to help you find that perfect condo in Breckenridge. Send us a message to get started on your home ownership journey.